This week at the Hollywood Bowl, Ben Harper & The Innocent Criminals takes the stage to the delight of guests. 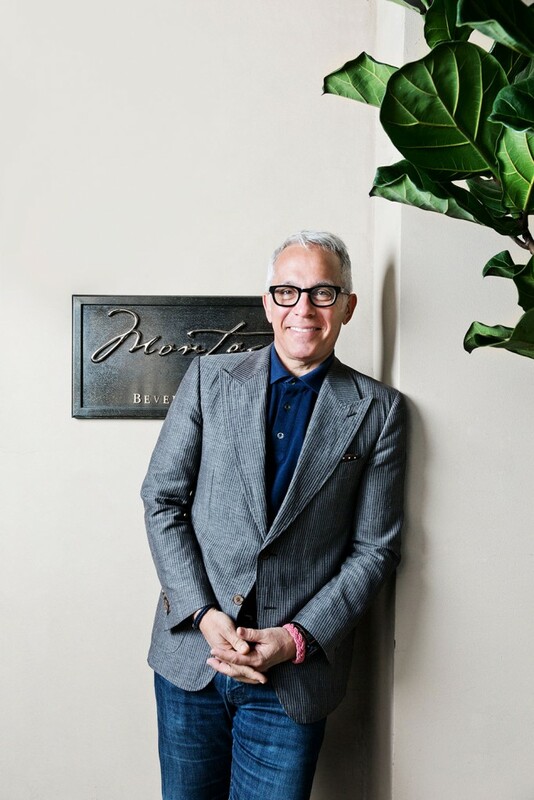 And to the delight of serious diners, Iron Chef Geoffrey Zakarian has recently opened his first West Coast restaurant, Georgie at the Montage Beverly Hills. Now a part of our community, the accomplished culinarian is also part of the Hollywood Bowl family, offering some fun, easy to master dishes for an evening under and among the stars. In a large sauce pot, bring the corn syrup, butter, vanilla, and brown sugar to a boil and continue to cook for 5 minutes. Do not stir the ingredients. Add the baking soda and salt and whisk to combine. 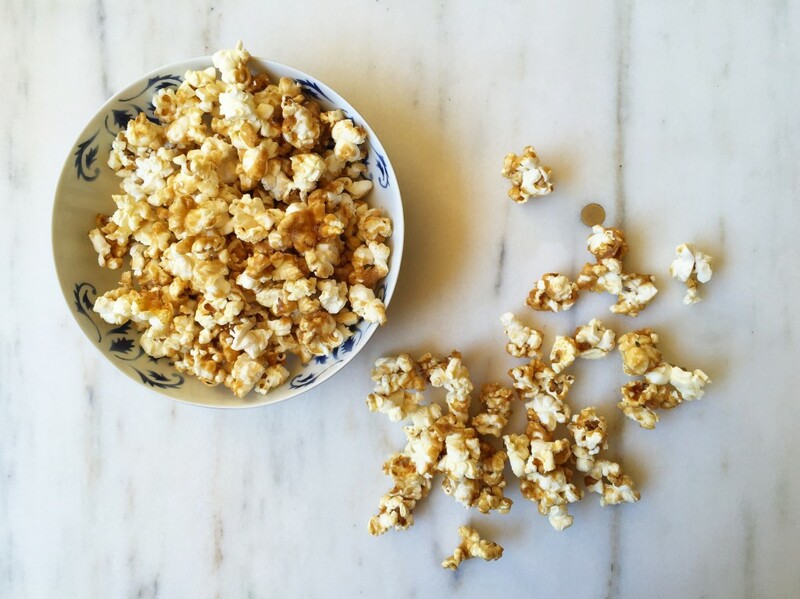 Add the popcorn and coat evenly by stirring. Place onto a half sheet tray lined with parchment. Store in small paper bags or in an airtight container for transport to the Bowl. Combine in a food processor and pulse until chunky but combined. Cut the baguette in half through the center lengthwise, running your knife from end to end. Spread the fig mustard onto the baguette halves. 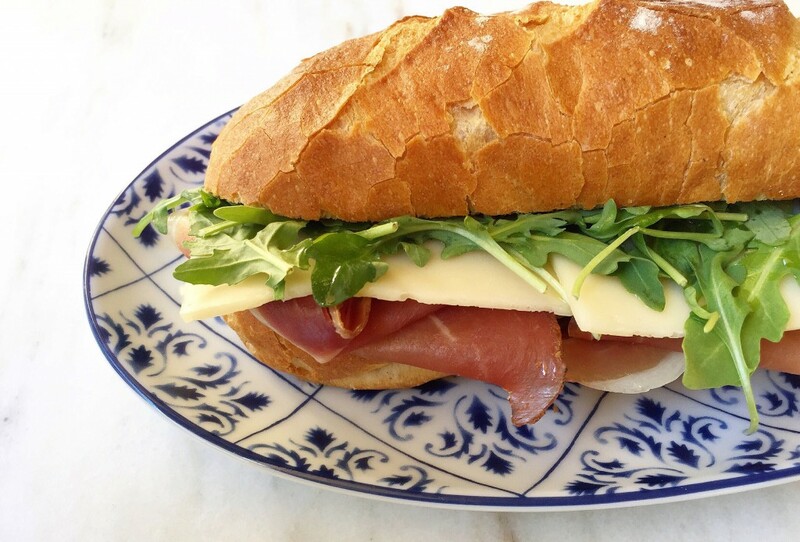 Arrange the jamón and Manchego cheese (you may like more or less) across the baguette. Dress the arugula in a bowl with the sherry vinegar and extra virgin olive oil. Season with salt and pepper. Arrange the arugula on the baguette. Cut the baguette into four sandwiches, and wrap in wax paper for transport. Bring the cherries, star anise, cinnamon, balsamic vinegar, water, red wine, and sugar to a simmer and allow to cool overnight. Strain the cherries when ready to use, and store in the liquid when not using. Combine thelabne, lemon juice, mint, parsley, and garlic, seasoning with salt and pepper. Chill until ready for use. 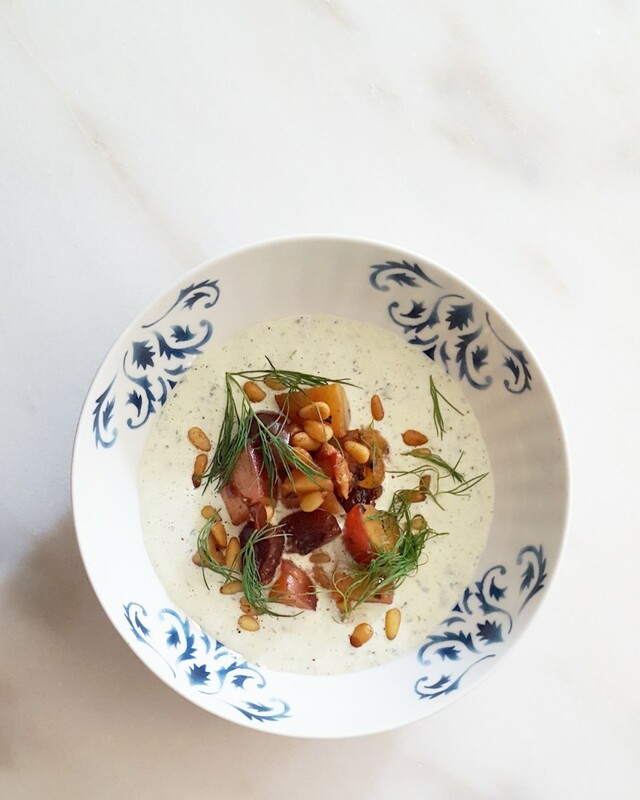 Serve with pita bread (pre-toasted to take away the “rawness”) and the pickled cherries. Garnish with fresh mint and parsley leaves if you wish. Nicholas McGegan celebrates the 20th anniversary of his Bowl debut with a festive survey of Handel masterworks: stirring anthems, dramatic arias and nimble orchestral dances. Legendary saxophonist Maceo Parker, known for his work with James Brown and Prince, over 25 years of solo work, and as a bandleader in his own right, leads a tribute to Ray Charles, Ray’s orchestra and the Raelettes. The ebullient Nicholas McGegan leads a program of music inspired by the personal taste of innovative French landscape painter Théodore Rousseau (1812-1867), a true “mélomane,” or music lover. Videos made in collaboration with the J. Paul Getty Museum will provide insight into the artist’s relationship with the music that fired the passions of his Romantic generation. Three-time Grammy® winner Ben Harper and his recently reunited band perform for the first time with fullorchestra. The soulful singer-songwriter, who has achieved worldwide acclaim along with his stellar band, will perform songs from their celebrated career and new album Call It What It Is.